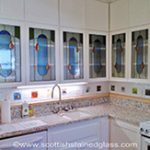 Stained glass has endless opportunities in your home. 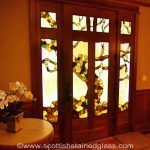 Besides the more obvious and standard applications, such as leaded glass for sidelights and entryways, stained glass can be used in a variety of ways and places. 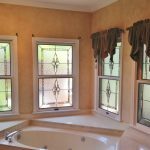 Often a home may have some odd shaped windows which do not lend themselves well to blinds; if you want to let natural light in while still having privacy, stained glass window design is the perfect solution. 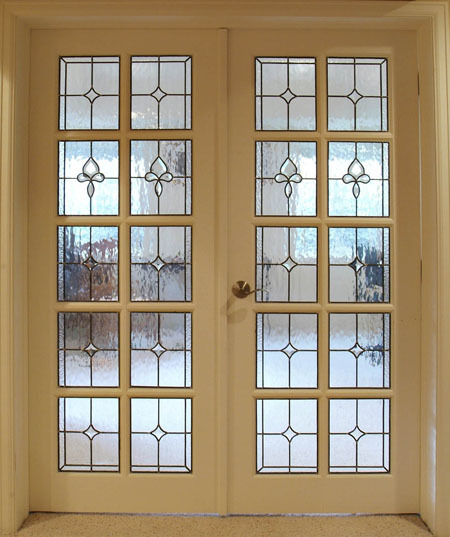 These stained glass windows can add charm throughout a home, not just in the doorway. 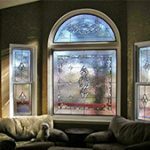 We produce stained glass panels and windows for all parts of the home. 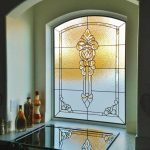 Though you might not have thought about it before, some areas of the home that truly benefit from stained glass are hallways, stairwells, basements, and bedrooms. These locations will prosper from the additional privacy and upgrade in decor. 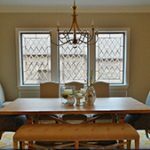 Stained glass is practical, but it also adds a touch of unexpected elegance to any interior space. 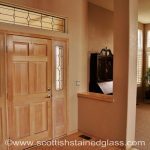 Scottish Stained Glass specializes in many styles that will compliment your taste, no matter what type of home you live in. 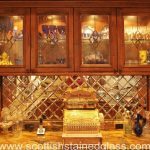 We often create glass pieces that incorporate Celtic designs, Art Deco, Mission, Mackintosh, and Prairie Style. We can work off of any of these styles that you prefer, or start something completely from scratch for your home. 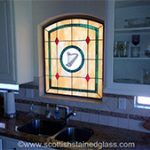 We are able to accommodate uncommon stained glass requests at Scottish Stained Glass. 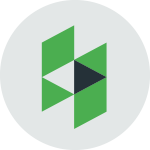 Because of our ability to create 100 percent unique pieces each time, we can build custom signs, family crests, and create windows for any size or shape. Our versatility offers you the most customization with the absolute best quality product on the market today. 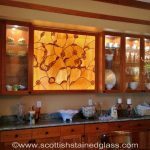 The options for adding stained glass to your home are numerous. 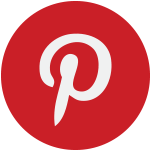 Browse through our many photos on this website to learn more about all the possibilities for stained glass in your home. 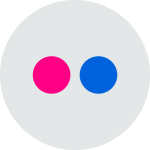 Also, if you have an idea that you don’t see, or perhaps that we have never done before, contact us to discuss the possibility of bringing your ideas to life. 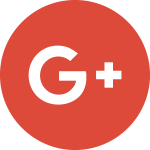 Contact us today to set up a consultation, and an appointment to come see our showroom. 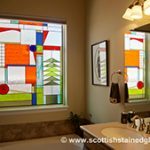 No matter what kind of project you select for your home, you can count on Scottish Stained Glass to provide you with the best quality glass, in application. 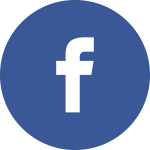 Our designers can’t wait to get started on your uncommon glass addition!